Lagtha about one and a half female and a really kind little cat that everyone has forgotten about. I started my life in a cold steel cell where I gave birth to kittens. I was facing death. My kittens are now rehomed and everyone has forgotten about me. All I want is a loving home. I have even suffered through a serious uterine infection and liver issues. But now I am healthy and strong and wanting someone to take me home forever. 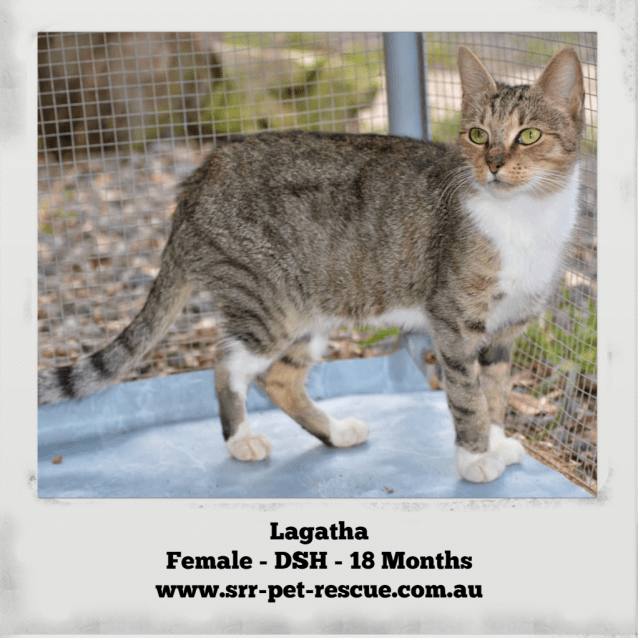 Lagatha will make the perfect addition to your family. to find out more please contact Katrina on 0405 156 059 or find us on facebook "Soquilichi Rescue Ranch"